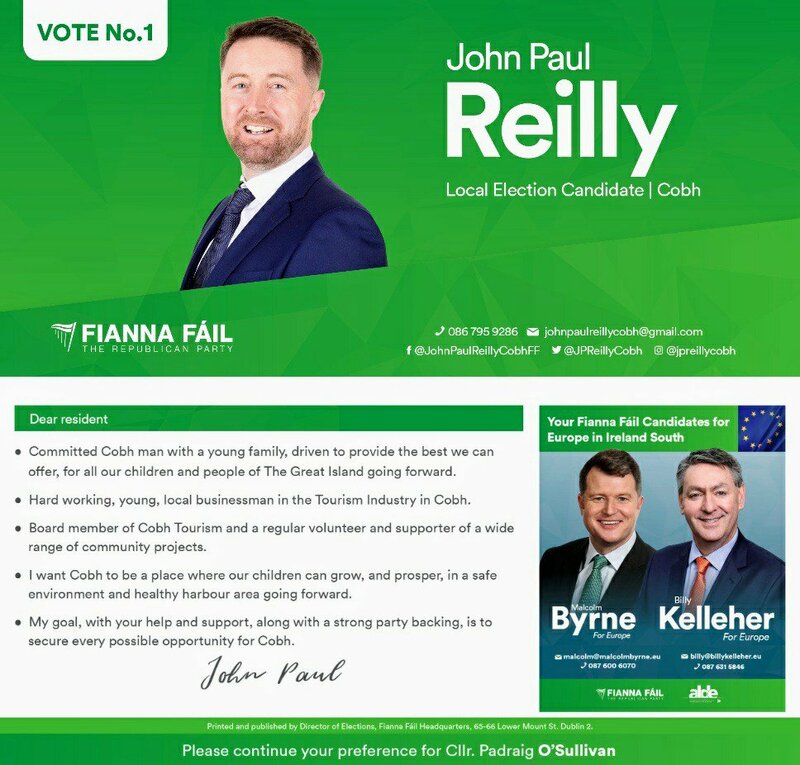 A Leaflet from John Paul Reilly of Fianna Fáil running in Cobh for a seat on Cork County Council. 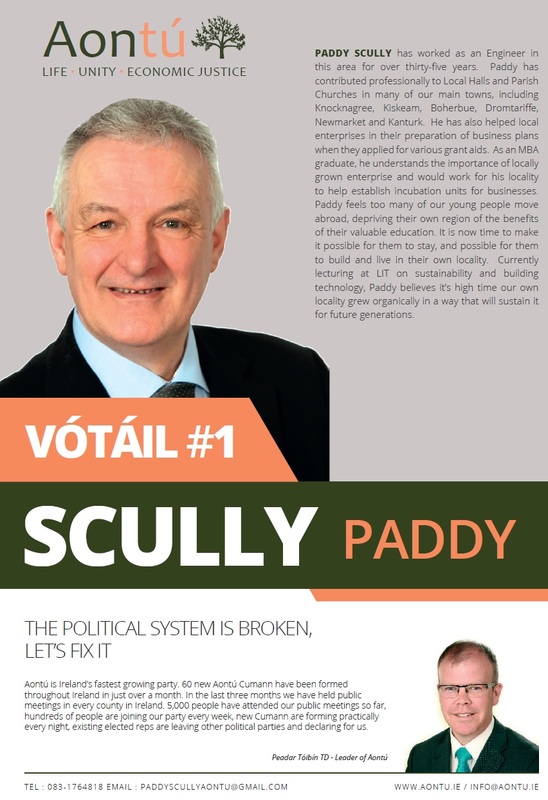 A Leaflet from Paddy Scully of Aontú running in Kanturk for a seat on Cork County Council. 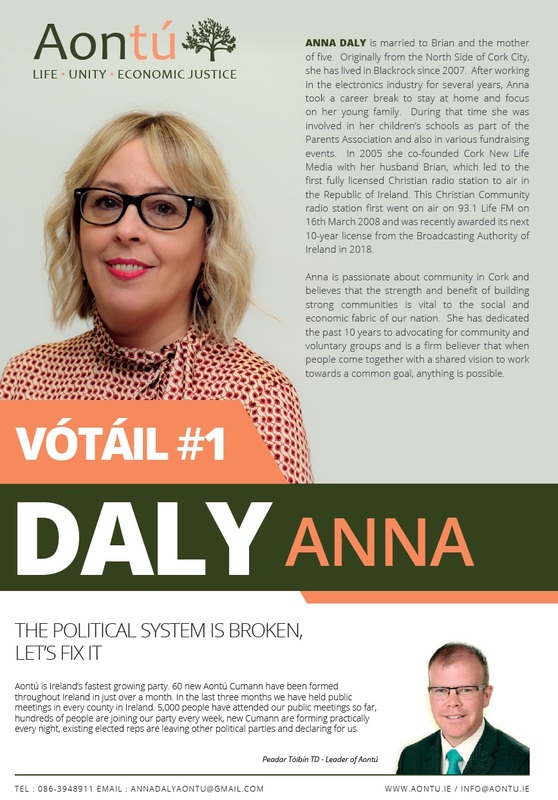 A Leaflet from Anna Daly of Aontú who is running in Cork City South East for a seat on Cork City Council. 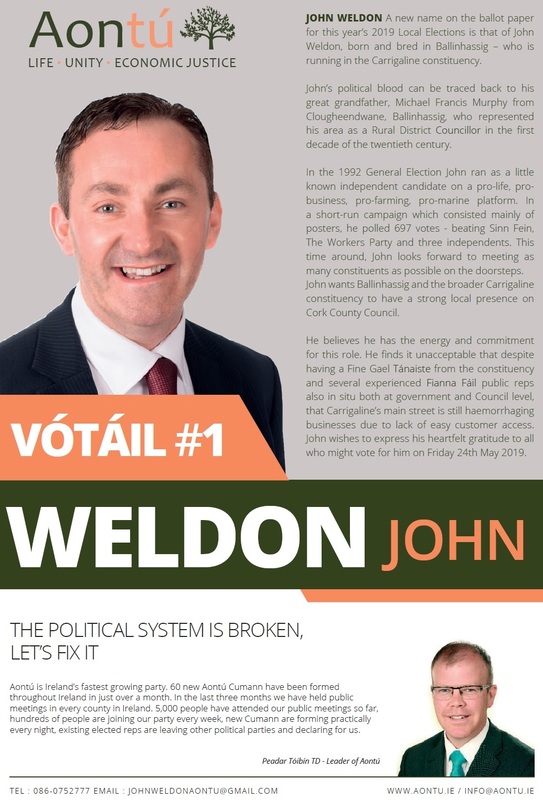 A Leaflet from John Weldon who is running for Aontú in Carrigaline for a seat on Cork County Council. 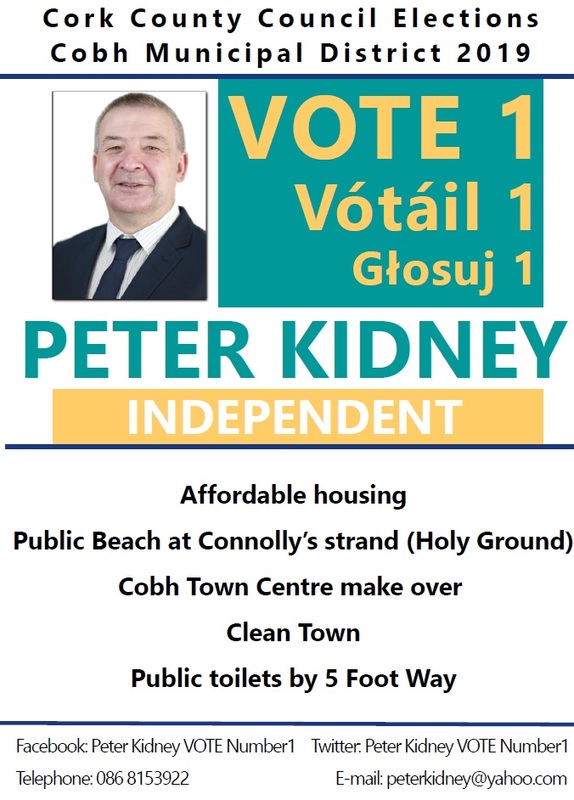 A Leaflet from Peter Kidney who is running as an Independent in Cobh for a seat on Cork County Council. 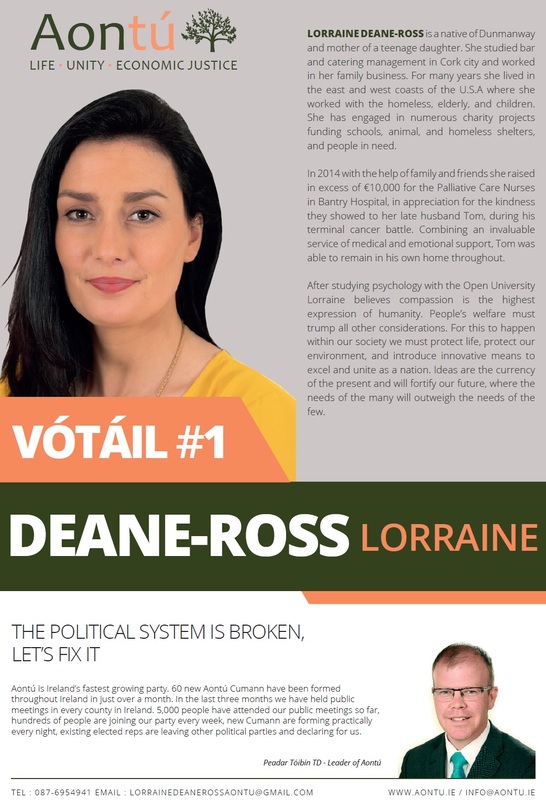 A Leaflet from Lorraine Deane Ross who is running for Aontú in The Bantry West Cork LEA for a seat on Cork County Council. 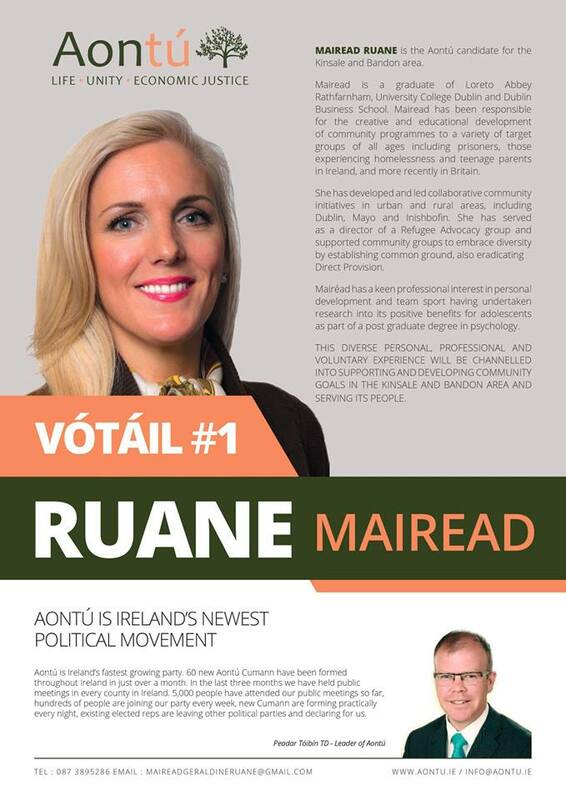 A Leaflet from Mairead Ruane who is running for Aontú in Bandon Kinsale for a seat on Cork County Council.